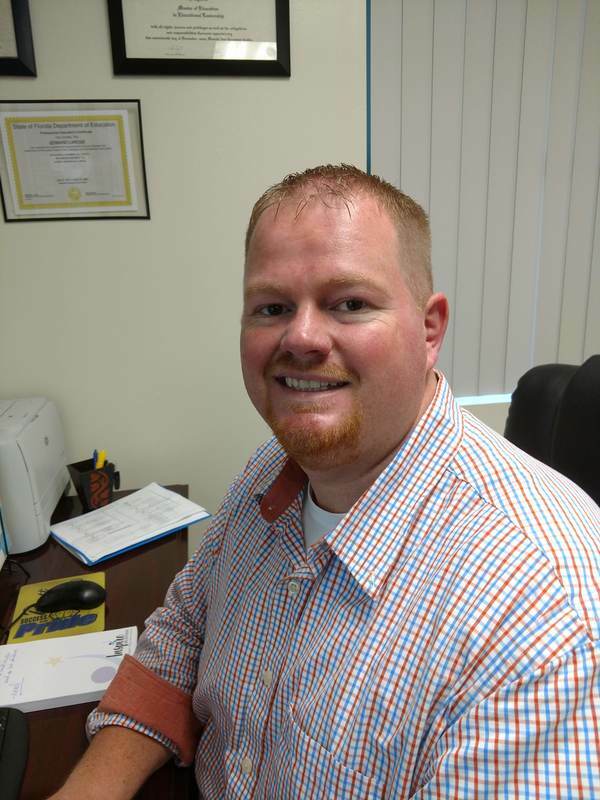 Though this is Mr. LaRose's first year as Principal of Parrott Middle School, he has worked in the Hernando County school district for the past 15 years as both a teacher and as an Assistant Principal. A Brooksville native, Mr. LaRose has a unique understanding of our students and their families. With a B.S. in Mathematics Education from Chowan College in North Carolina and a Master's Degree in Educational Leadership from Saint Leo University here in Florida, he is well-equipped to lead us to an "A"! He believes the primary function of his job is to be a resource for all students and staff on our campus and you can most often find him around campus throughout the day looking for opportunities to interact with others. When he is not at school, Mr. LaRose describes himself as "the MAN in Madden on XBOX!!!"